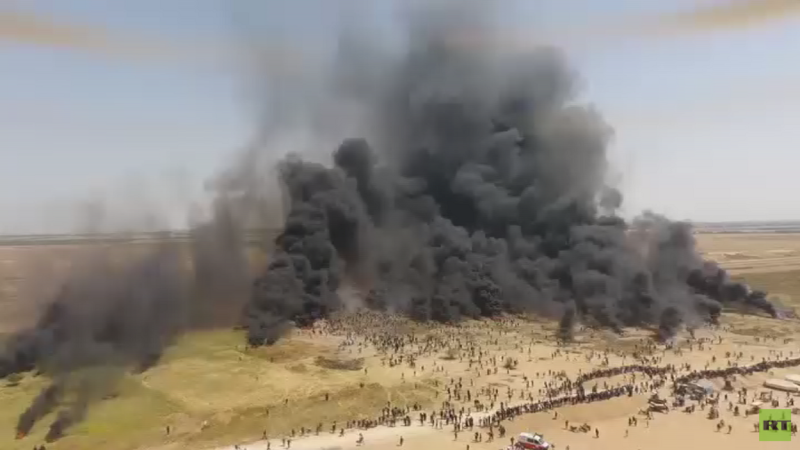 The Palestinian ‘Great March of Return’ was covered in thick plumes of black smoke as thousands of tires were burned on Friday, in rage against Israeli control of the occupied territories, incredible drone footage has exposed. 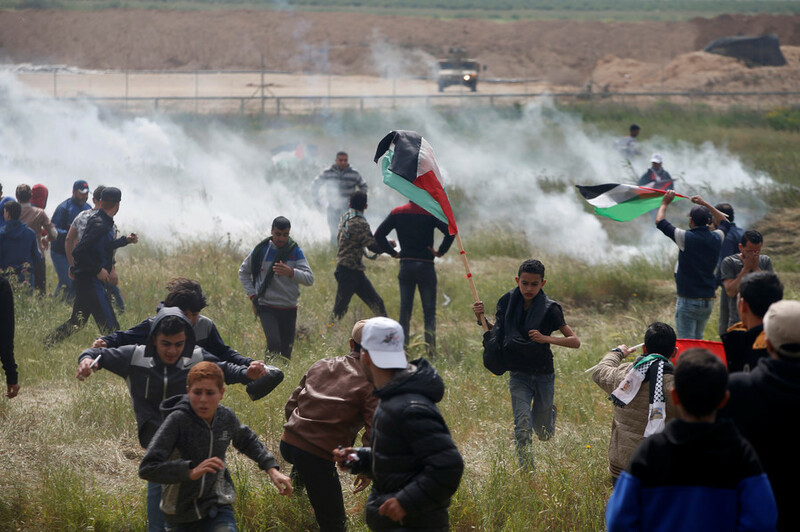 Thousands of Palestinians flocked to the Gaza-Israeli border on Friday for the second week of the ‘Great Return March’ protests. While Israeli forces ordered the activists to stay at least 500 meters clear of the border, Palestinian protesters turned to burning tires in an effort to conceal their movements from the IDF. The landscape along Gaza’s eastern border near Khan Younis, recorded from the air, resembled a scene of a multi-million-dollar blockbuster, but with very real casualties. The footage showed vast crowds running through the massive field of black smoke that stretched for miles. The smoke was so thick and widespread that the IDF were reportedly forced to use giant fans to disperse the plumes. The scene resembled a full-blown war fought between fully armed IDF soldiers and Palestinian youths armed with rocks and slingshots. Drone footage also shows Red Crescent ambulances rushing to help wounded protesters. 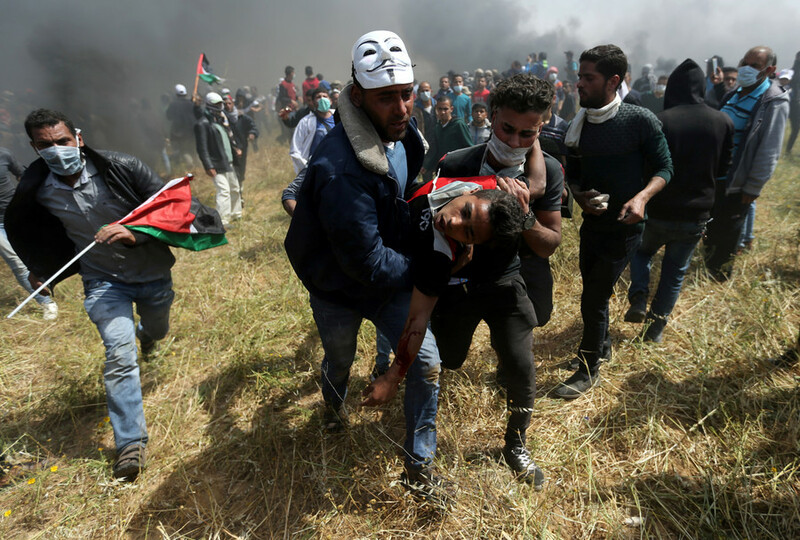 At least seven people were killed by the IDF during clashes in Gaza, Palestinian Wafa news said, citing health officials. 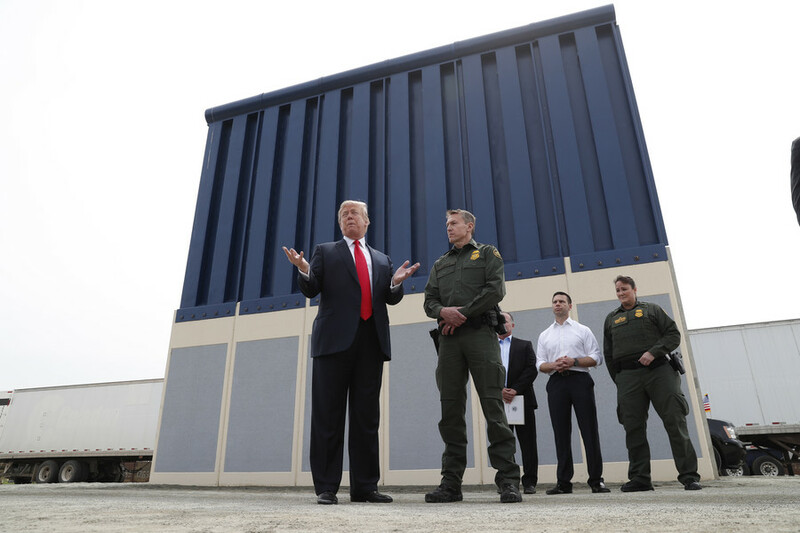 About 1,000 protesters were also injured, including 19 seriously. 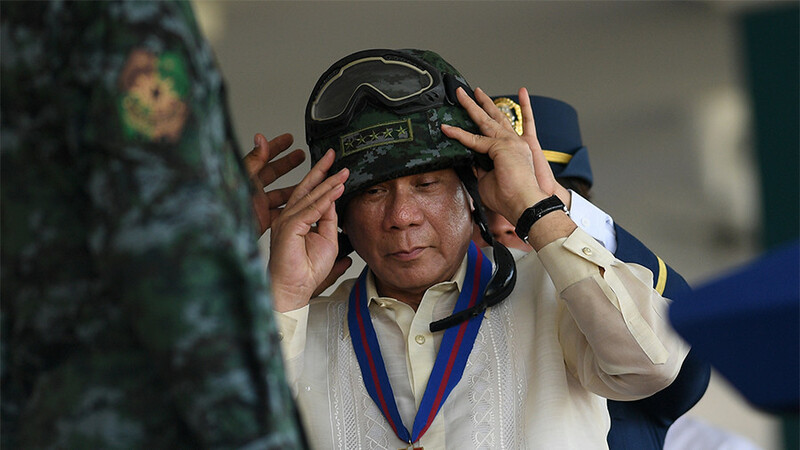 Among those wounded were 40 minors.